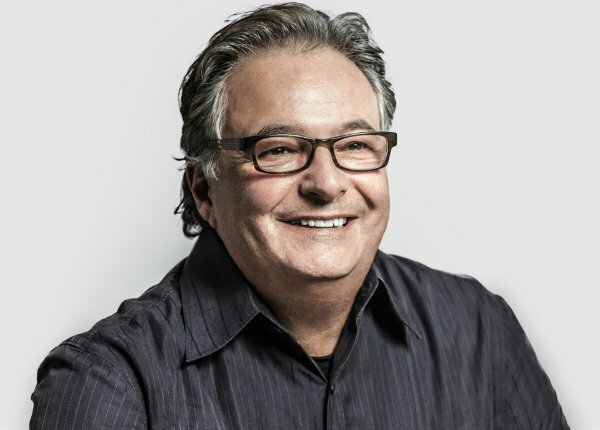 Craig Allen in 1994 as SVP, director of production at JWT San Francisco. Craig Allen on location on a job for JWT San Francisco. Breaking in as a production coordinator at Grey Advertising NY in the late 1970s, Craig Allen moved to San Francisco in 1980 to become a producer at J. Walter Thompson, collaborating with such clients as Chevron, Activision, the California Milk Board and Dole Pineapple. In ‘87 he was promoted to sr. VP/director of production at JWT S.F. During his tenure there which lasted until ‘97, Allen worked with a host of leading directors ranging from Bob Giraldi to Steve Horn, Joe Sedelmaier and Mark Coppos. Next came a four-year stint as a freelance producer, with Allen contributing his expertise to varied shops, including Goldberg Moser O’Neill, Goodby Silverstein & Partners and Kirschenbaum & Bond, all in San Francisco, and GSD&M in Austin, Texas. It was during those freelance years that Allen met Paul Venables and Greg Bell, creatives at Goodby who went on to launch Venables Bell & Partners (VB&P), San Francisco, in 2001. Messrs. Venables and Bell then wound up hiring Allen as a freelancer to work on that agency’s first campaign for Ultimate TV by Microsoft. For that Ultimate TV shoot, Venables and Allen drove from San Francisco to L.A. in a rental car since it was such a difficult, uncertain time to fly immediately after the 9/11 terrorist attacks. Their shared automobile ride marked the beginning of what’s became a lasting friendship as the two forged a strong professional bond. Allen spent 2001 freelancing at both VB&P and GSD&M. In 2002 he went on staff at VB&P as executive producer, later becoming its head of integrated production. In his early years there, Allen was the entire production department, which he helped grow over time into a cohesive team, overseeing an expansion of agency capabilities into business affairs, production and post. VB&P’s content divisions now include Lumberyard, Rabble and the VB&P studio. After 17 years at VB&P, Allen recently retired from full-time duty, anticipating that he will occasionally come into the office, maybe once a week in November and into early December so as to help ensure a smooth transition to his successor, Hilary Coate, who had been freelancing at the agency for the past year. Prior to that, Coate spent 17 years with Goodby Silverstein & Partners, starting as a sr. producer and then becoming exec producer. SHOOT caught up with Allen who discussed Coate, reflected on his career, lessons learned over the years, and how the ad business has evolved. A Sprint campaign at JWT San Francisco directed by Joe Sedelmaier of the Sedelmaier studio. “Joe took charge. He was like no one else. Working with him was unlike any other process I have ever been through. He had his own ideas and he would cast his own characters, many of whom weren’t real actors--from his mailman to someone he met at the grocery store. Even the most strong willed directors didn’t carry that kind of clout. No director took ownership of a project like Joe did. You had some input but if you let him do his thing, you’d often get some very funny spots. Barclays’ “Fake” from VB&P--directed by Nicolai Fuglsig of MJZ, with visual effects by The Mill--thrusts a man into a Wall Street populated by mannequins, props and buildings which appear real but aren’t, depicting a world of finance which is all smoke and mirrors until the protagonist breaks free upon finding a Barclays bank branch. Audi’s “Green Police,” which earned a primetime commercial Emmy Award nomination in 2010. Directed by Bryan Buckley of Hungry Man, the VB&P spot shows people being arrested by the green police for such “crimes” as not properly disposing of an orange rind, choosing plastic over paper, and using incandescent light bulbs. “Green Police” later takes us to a police checkpoint where traffic has been stopped. Seemingly all the drivers are in jeopardy of being arrested except for the one behind the wheel of an Audi A3 TDI clean diesel automobile who’s allowed to go on his way. “I liked the spot because it was embraced by liberals and conservatives, demonstrating that humor can help bring people together,” said Allen. And Audi’s “Commander” directed by Craig Gillespie of MJZ. In this 2016 Super Bowl spot, we see a retired astronaut who’s lost his zest for life. He’s surrounded by memories of his past, the Space Age’s golden years. But when his son shows up and hands over the keys to the new high performance Audi R8 V10, a rocket ride under the stars stirs newfound life within the ex-astronaut, reminding us that amazing things can happen when we choose exploration, technology and the moon. Supered on screen is the campaign theme: “Choose the Moon.” The inclusion of David Bowie’s “Starman” track is also among the reasons “Commander” ranks as one of Allen’s favorite spots.